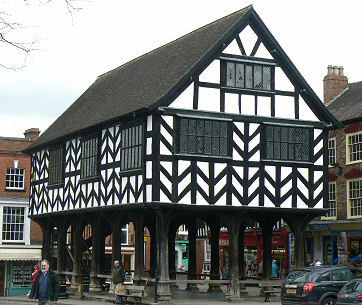 1st June 1878, Ledbury, Herefordshire, England. John Masefield’s mother died when he was six from complications over the birth of his sister Norah and his father died later leaving him an orphan to be looked after by his aunt and uncle. 1890: His father suffered a nervous breakdown and was hospitalised. 1891: Death of his father. As his grandparents were already dead he was looked after by his aunt and uncle. His aunt sent him to sea as a cadet. 1894: John Masefield joined the Merchant Navy at the age of sixteen and served his apprentice as a crewman. 1895: After completing an Atlantic voyage he deserted his ship and became a vagrant in the United States of America finally ending up in New York. He worked first as a barman and then in a carpet factory. He spent much of his spare time reading modern and classical literature. 1897: He leaves New York for England to become a writer. On arrival takes a job as a bank clerk. Makes his first mark as a journalist for the “Daily Chronicle” newspaper under its literary editor Charles Masterman. 1899: His first poem “Nicias Moritous” was accepted for publication. This was later to be revised as “The Turn of the Tide”, part of the “Salt Water Ballads”. He meets the poet William Butler Yeats who he admires greatly and who becomes his friend and mentor. 1902: Reviews books for several periodicals. 1907: John Masefield joins the “Manchester Guardian” newspaper. 1912: Wins the Edmund de Polignac Prize for fiction. 1913: Invited to attend Prime Minister Asquith’s Daughter’s birthday party along with other writers such as George Bernard Shaw and Rupert Brooke. 1914-18: Masefield joins the Red Cross during the First World War and serves in France. He then went to the Dardanelle’s with an ambulance crew and witnessed at first hand the disaster at Gallipoli. When he returned to England Charles Masterman, now the Head of the War Propaganda Bureau, again recruited him. He was sent to America to give a lecture tour on how Britain was winning the war despite the Dardanelle’s failures. Some of these lectures were greeted by loud heckling. This in turn led to the propaganda booklets “Gallipoli” published in 1916 and “The Old Front Line” published in 1917. Also in 1917 he was sent to observe and write about the American Medical Relief Forces in France. In 1918 He goes on a second, more successful lecture tour of the United States and receives Honorary Doctorates from the Universities of Yale and Harvard. 1920: He moves to a rural location in Oxfordshire and enjoyed beekeeping, and looking after goats and poultry. 1922: Forms the Hill Players Theatrical Group to perform works by Shakespeare, Euripedes, Yeats and himself. 1923: John Masefield organises the Oxford Recitations, an annual contest to discover good speakers of verse. 1929: The last Oxford Recitations are held, as he was unhappy about the overly competitive spirit which had developed. 1930: Becomes Poet Laureate succeeding Robert Bridges. 1935: Receives the Order of Merit. 1937: Elected President of the Society of Authors. 1949: John Masefield had continued writing and doing lecture tours up until this time when ill health and failing eyesight prevented him from continuing. 1960: Death of his wife after a long illness. Becomes virtual recluse. 1909: “The Tragedy of Nan”. “Multitude and Solitude” (Novel). 1912: “The Everlasting Mercy”. “Shakespeare”. “Cargoes”. “Ballads and Poems”. 1925: “The Trial of Jesus”. (Play) “Prose Plays”. “Verse Plays”. 1928: “The Coming of Christ.”. 1937: “The Country Scene in Poems”. 1939: “Live and Kicking Ned”. 1966: “Grace before Ploughing” (autobiography). “In Glad Thanksgiving”. 1901: To Constance Crommelin, a teacher of mathematics who was educated in literature and the classics. She was twelve years his senior. Died 1960 aged 93. 12th May 1967, Abingdon, Oxfordshire, England after contracting gangrene from an injury to his leg. 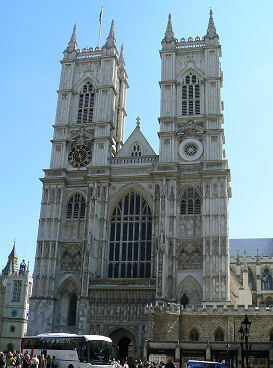 Cremated and his ashes interred in Poet’s Corner, Westminster Abbey, London, England. 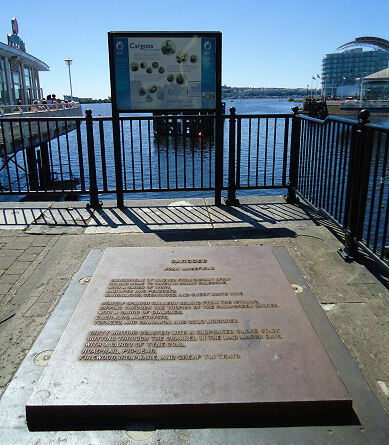 Cardiff Bay has his poem “Cargoes” forged in metal at the edge of the docks area. 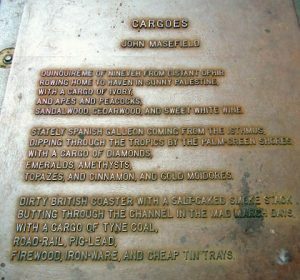 John Masefield Society, c/o P Carter, The Frith, Ledbury, HR8 I2W.